A return to what dresses were always meant to be — a one-piece outfit. No need to add anything...no tank tops, no cardigans, nothing (except accessories, of course!). Be sure you browse around. Shabby Apple also does jewelry, clothes for pre-teens and girls, and shoes. Please, don't forget the shoes. I promise, you won't go home empty handed. I am hoping these or these, or these are in my Easter Basket on Sunday. CJane will also receive her choice of one of the dresses pictured. Leave a comment on this post telling me what you want to take home from Shabby Apple. It doesn't just have to be a dress. The options are endless. oh man i have been drooling over shabby apple and lamenting my checking account balance simultaneously for so long. love everything they have. oh i adore shabby apple! the purple dress is amazing! i've signed up for shabby apple emails! I follow Shabby Apple. Love them! Oh my gosh. Ballerina! Ballerina! Ballerina! I actually really love the 9-5. It's perfect! I have the Antiquated Dress. Gorgeous! I am also in love with Upper East Side. I am part of the Shabby Apple Club! I want the 50 WPM dress! Marseilles for sure. I could feel really cute in that fabulous dress! LOVE the purple dress, that is what I would take home, it looks so slimming. Marseilles, for sure- hot rockin' stripes! Brand new follower of FV right here! LOVE the purple ballerina dress! signed up for shabby apple club! I love the upper east side! Oh my gosh. I must have the purple/plum ballerina dress. The 24K dress, the Yorkshire dress, the Jenny Choo shoes, the flowered Hobo purse. I could go on but I won't. Everything is so cute on their website! I would love to own either the Nine-to-Five or Marseilles! I love the bette D! I love the purple ballerina dress! I've always admired the Cotton Candy dress - love it! marseilles is just right for me. I love the Jade dress! i want to take home the ballerina dress. i love the length. it is so classy! but i also love the coney island. and the cotton candy. i just love them all. vive la dress! love love love shabby apple! i'd love the ballerina dress. Marseille is adorable! I'd love to have it! Oh the green dress is AMAZING!! I've been dying to get my hands on the Fifth Avenue Dress for forever! Love it! So chic! I love Nine-five- so cute! Love the Coney Island dress. Love your products. Gorgeous! love the espina bonita dress! I really like the MARSEILLES dress. Very beautiful. The flowered hobo bag is really cute! and I love the nine-to-five dress! I love the black Beauty Mark dress. Marseilles is so cute, but so is everything from Shabby Apple! I love that 9-5 dress--I've been eyeing it for a long time! I would probably wear it in green. I would love to have the Wonderland dress. It's maternity, perfect for me right now...and gorgeous! the shakespeare's garden, or bugle boy, or circo! i pretty much love them all! I am in love with the Marseilles dress. Also, the Jackie O, the Broadway, the Carnival, the Dot to Dot...and I could keep going. I ADORE Shabby Apple. Great dresses. The 9-5 would be wonderful. I wear black suits everyday. It would be so nice to look professional and feminine at the same time! I love the azure coast dress! The ballerina dress is perfect for my hourglass figure. I love them all. The Marseilles dress especially. I love all of their lovely wares. I want the Georgie shoes :) Can't choose which of the 3 dresses I like best. The Ballerina would probably be the most flattering. The shoes! Wow, they are divine esp the Jenny Choo. I also love the Marseilles dress. I would love the Marseilles dress, who knew there were so many cute dresses in one spot. what would i like to take home? better question, what would i not like to take home. b/c i seriously love everything!!! 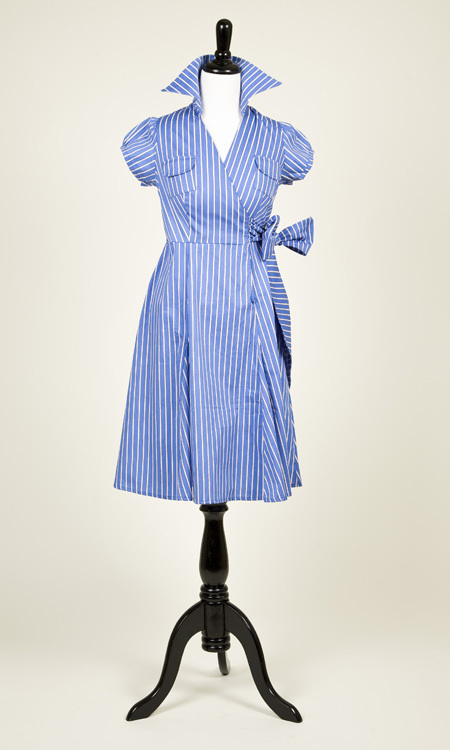 i've gone on shabby apple lots and i keep coming back to the jackie o' dress. it's so classic and beautiful. so i think that's one of my favs! i love evrything that shabby apple makes! I love their dresses. The purple dress is classic. Oh goodness, I love the 9 to 5 dress! So lovely! I left a question for you at Dear FV. Thanks! Mmmmmm I LOVE the Lecce boot! Oh. My. Gosh. how come I've never heard of this place?!?!? Amazing. And I definitely can't decide between the Nine-to-Five and Marseilles dress. Love it! I LOVE that Marseilles dress!! 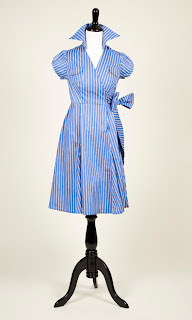 That Lindy Hop dress is perfect - I just LOVE it! I have found a new favorite in Shabby Apple! It is almost impossible to choose only one favorite! But I LOVE the Ingrid...classic, simple, beautiful. I now follow Shabby Apple. I really like the MARSEILLES dress. Very beautiful!!!! I love love love shabby apple! the marseilles dress is too cute! I love the Marseilles dress. I have wanted to buy something from there for so long. Love all their dresses. I'm dying for the Bugle Boy dress. I LOVE the L'ete dress! SO ADORABLE! i love the marseilles dress. so classy. The ballarina dress is beautiful!! The ballerina dress would be great for my post-baby body! MARSEILLES dress is my favorite! nine to five dress for sure...even though I currently work a six to six shift. bleh. the garden delight shoes are really cute! Shabby Apple is my favorite dress shop! I love them all, but of the three I like 9 to 5 the best. The Carousel Dress is so pretty! Ooooh, love the Marseilles dress! I must have it! I love both the San Gabriel and Sheep Meadow dress. Such pretty things! I LOVE Shabby Apple. :D I like Rosie the Riveter. I think the Manhattan-Fifth Avenue dress is tres chic! I love the Daisy dress! Of the 3, I would choose the Marseilles :). I love the Shabby Apple workout clothes. I LOVE the nine to five dress - it has always been my fave. Time to start saving up I suppose....or maybe not!! Fingers crossed. Marseilles is so great!!! love it! I love all things Shabby Apple but am particularly coveting the San Gabriel dress. I like the marseilles dress. oh, and I'm also a member of the Shabby Apple mailing club! I'm with you on the Jenny Choo shoes! Love them! i am a follower of Shabby Apple. I subscribe to the Shabby Apple Club. I'm in love with the Marseilles dress..it is exactly what I need! I've been wanting the duck beach for at least a year. My pocket book isn't and won't be able to accommodate one of their great dresses for a while. I hope I win! I LOVE Shabby Apple! And I REALLY love that Marseilles dress! Crystal Cronin: Like the Virgin Strawberry Daquari. oh.my... I love, love, love, really love the ballerina dress. I have been loving the Lois Lane dress for a long time. Must have the Bow Belle shoes in mint! I love the Marseilles dress!! So cute for Summer! totally didn't know they sell shoes! Even though it's spring, I love those Bell boots! I'm on Shabby Apple's mailing list. I love the ballarina dress. so pretty. The Marseilles dress would be perfect for work or a daytime party. I adoreee it! I have always wanted the upper east side or the carnival. It would be hard to choose between the 9 to 5 and the Marseilles! LOVE the ballerina dress and would LOVE to see it in my closet some day.